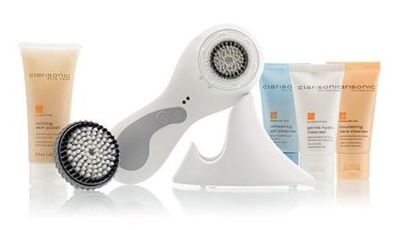 My sister Diana was the one that referred me to the Clarisonic Skin Cleansing System. She purchased her Mia 2 last year and has been using it every day and has got me falling in Love with it too! The difference between the First Generation Mia and the Mia 2 is the speed settings. Mia only has 1 speed; and Mia 2 has 2 speeds. Mia 2 now has Multiple Colors to choose from! My favorite is the Pink One! 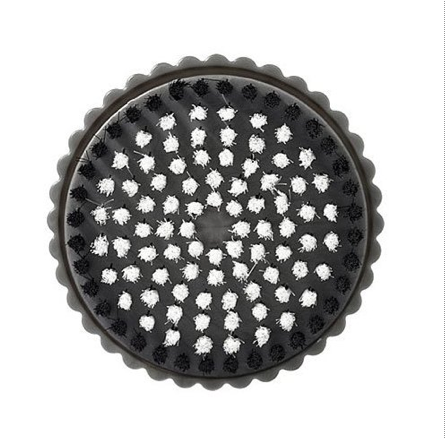 Removes six times more makeup than manual cleansing. 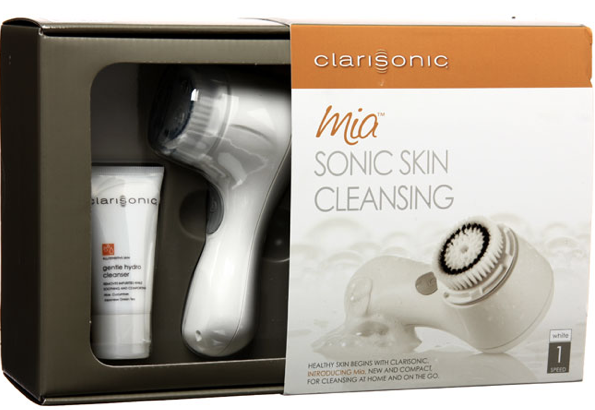 The Clarisonic Replacement Brush Head for Acne Cleansing does wonders if you have sensitive skin like mine. I’ve been dealing with acne problems and break-outs (mostly my T-Zone Area) my whole life so it’s nice to be able to swap out brush head for a deeper cleaning when needed. It’s like I’m giving myself a Facial every morning and night without going to the Spa. Just when I thought this product couldn’t get any better they released an Updated Version. 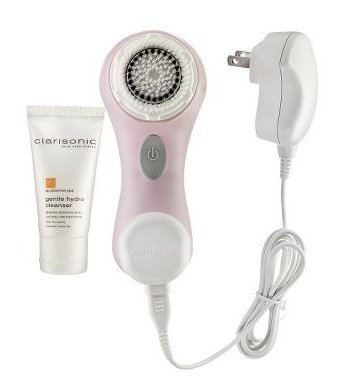 The Clarisonic® Spot Therapy Brush Head takes sonic cleansing beyond the face to gently care for areas of the body needing extra care and attention, including the decollete, hands, arms, elbows and feet. 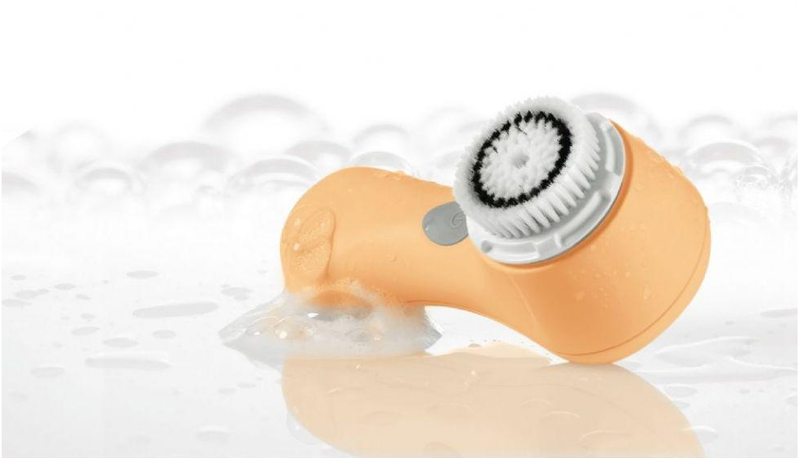 Use with the Clarisonic® Plus model to gently cleanse and exfoliate, rough dry patches, and prepare the skin to better absorb skin care products. Not intended for facial cleansing; for use on the body only. Three brush heads, including the new patent pending Deep Pore Cleansing brush head. 1-oz. trial sizes of Refreshing Gel Cleanser, Gentle Hydro Cleanser and Nourishing Care Cleanser. 2-oz. trial size Refining Skin Polish. Designed with a unique gradation of bristle firmness and dual-action movement, making it optimal for cleansing oily skin, skin with large pores or those looking to target hard to reach and uneven areas of the face, like the crevasses around the nose. Safe and gentle for use every day, two times per day. Reveal clearer, refreshed, softer, smoother skin. 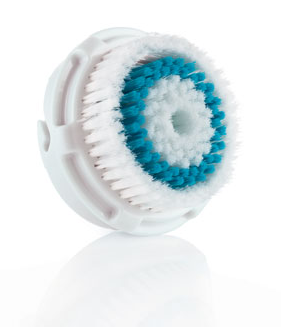 Clarisonic® brush heads are made from a non-porous, soft elastomeric material, resistant to bacterial attachment. 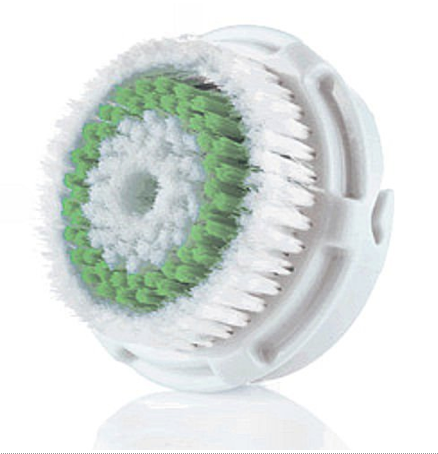 All brush heads are precision-designed to oscillate bi-directionally at a sonic frequency of more than 300 movements per second and should be replaced every 3 months. 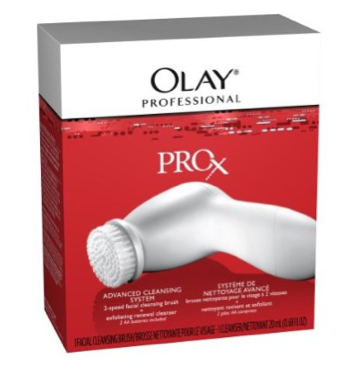 Don’t be Fooled by Olay Professional Pro X Advance Cleansing System that’s out on the market right now… It’s an impostor and it’s a reason why it’s only $30 at the Drugstore. I’ve tested it out and I wish I never wasted my money on a Cheap product that dried out my face. It’s not even waterproof so what’s the point if I can’t even enjoy it in the shower. Leaves skin feeling and looking smoother. Cleanses so well that products absorb better. 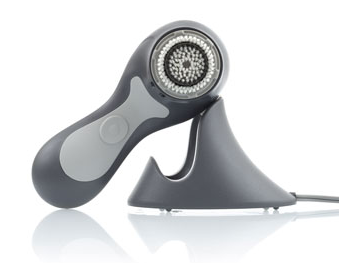 Helps reduce the appearance of visible pores and reduces the appearance of fine lines and wrinkles.